With 6 months remaining before the exit of the UK from the European Union on 29th March 2019, we write to you to advise our position and positive actions taken. There is still uncertainty on how any final arrangement will be structured between the EU and UK, but we take the opportunity to reassure you that UCB have taken several internal actions to try to protect our relationships with customers and suppliers from any future outcome. Although there is strong belief a customs arrangement will be agreed to allow the continued unrestricted flow of UNIBAR through UK and EU Ports, since the beginning of 2018 UCB (UK) has acquired the necessary skills to manage any extra documentation and we also work with Freight Forwarding partners who also have the necessary resources in place. Through our network of UCB owned distributors strategically placed in many countries across the EU near to you customers, we are holding stock to allow the continued supply of UNIBAR to the local market. Should there be any delays or short term restriction in the movement of our products our UCB Stockists will give adequate cover to maintain supply to our customers. 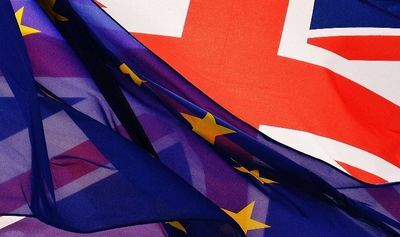 It is not expected there will be any tariffs on our products and even in the event of a ‘No Deal’ outcome, World Trade Organisation (WTO) agreements ensure products produced in the UK will remain duty free. Similarly, any exchange rate movement as a result of the final outcome being reached will not affect any pricing as it has not done in recent years. We do not expect any price changes other than those due to the usual direct influencing factors of raw material, energy costs etc. We also remind you that we still have a strong manufacturing base within the EU which will remain totally unaffected by the outcome – UCB Cast Profil in Northern Spain is still operating strongly and will remain to do so. The UCB message is simple, we do not expect any change or interruption to the direct flow of our products from any UCB operating site to our customers.